, to get us reaching for some healthier food options. This salad I blog about today is a well known salad, with Levantine origins (Lebanon, Jordan and Syria), a chunky kind of salad, with vegetables that you may like or those that are in season. Travel has allowed me to experience many new tastes from around the World, and this salad is one such dish. It can be found in most Arabian themed Resturants and made with leftover Pita Breads (Arabian Flatbread – khubz), However I prefer using a tortilla wrap that I cut up and fry lightly in oil until golden brown and crisp. Tortilla Wrap, cut and shallow fry, until crisp and golden brown. The main ingredient in this salad would be the Salad Dressing, which has Sumac , a Spice with a Tangy/Sour taste, but paired with Lemon or Lime juice just further enhances this spice. Below is my recipe for the Salad together with the Fattoush Dressing Vinaigrette . So go ahead, don’t wait for those little reminders to get you and your family to ENJOY this Crunchy, Tangy Arabian Salad. “Tortilla Wrap” chunks that have been fried in shallow oil and drained onto paper towel. * Gently Toss all these. * Plate this onto a Serving Platter, scatter over more of the “Crispy Tortilla Bread” and sprinkle more Pomegranate seeds(if using), and the extra Vinaigrette on the side. * Serve this Crunchy Goodness with your favourite Protein meal, or just perfect to enjoy all on it’s own. Thursdays are usually reserved for “THROWBACKS” right??? So allow me to share with you a very Old, Family Favourite Dessert recipe with you. Custard is one very simple dessert to serve, but teamed up with like for instance, a baked Pudding, adds more pleasure in enjoying that dessert. I personally still love the idea of the Age Old, Custard and Jelly. 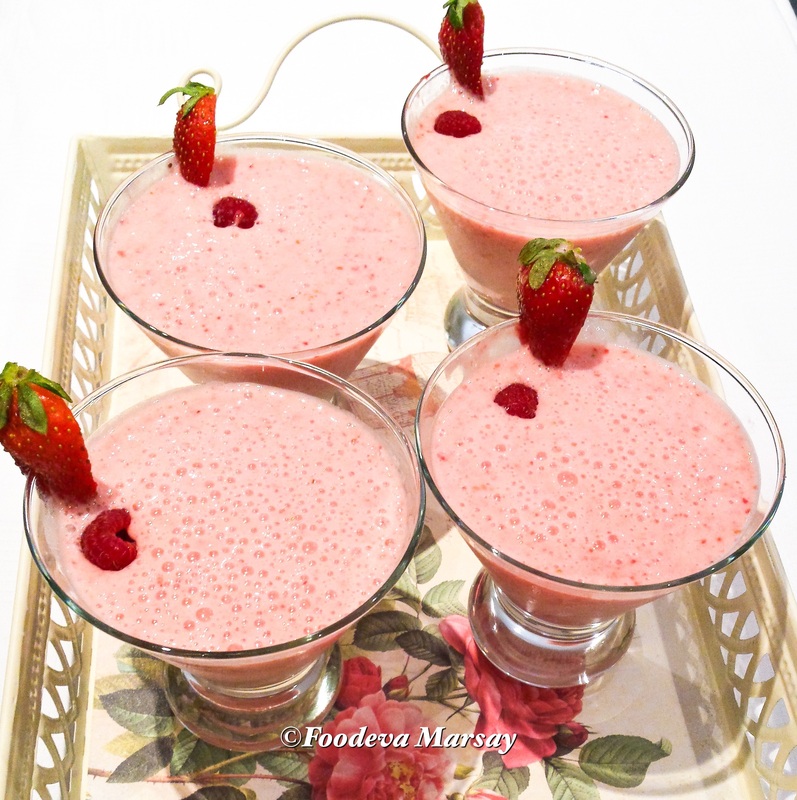 Take a look at the bottom of this blog, where I share with you a more “modern take” on serving good old Custard and Jelly?. So back to the Chocolate Custard, this recipe I had learnt from my lovely Mother-In-Law, who had demonstrated this recipe that she has been making all her life, a rather simple dessert with a major End Product Satisfaction. The older generation, like my Mum-in-law, have a knack of whipping up fabulous meals, without the help of browsing through recipe books, so I made sure I paid good attention, so I may also “ONE DAY” be able to match her expertise. So If you like Custard and Chocolate, this recipe is a MUST TRY for You, this is my own take on this delicious and easy dessert. A Guaranteed winner, this dessert will wow your guests at the end of their meal, making it a Family Favourite in your homes as well?? Extra: Dessert Cream for deco. ~ Make a ,thick pourable, paste of the Corn Starch and Sifted Cocoa powder, with just enough water. ~ Gently Heat milk on a moderate Stove setting, together with the Butter and Vanilla Essence. ~ When warmed through, add to the milk, the Dessert Cream, Condensed Milk and Sugar. Keep stirring. ~ Now using a Whisk, pour in the Corn Starch/Cocoa paste, and whisk all the while to prevent clumping. ~ Remove from Stove Top and Cool Slightly Before Pouring into Individual Serving dishes. ~ Allow the Chocolate custard to cool well in the fridge (can be made a few hours before serving). ~ Top the Chocolate custard with about 2 teaspoon,OR more, of Dessert Cream and using the back of a teaspoon, gently spread the cream towards the edges and whole top of custard. ~ Decorate with any type of fruit, sliced strawberries, kiwis or even drained Canned Sliced Peaches. ~ Allow Chocolate Custard to rest again in fridge before serving, so the Dessert Cream may set a little. # If your custard has becomes clotted/lumpy, stress NOT, just strain the custard using a sieve into a new pot?. # You Could also use just one Large serving Dish as an option, instead of individual ones. As promised here is a Pic (an old one from last year, sorry for pic quality), on How to present the Good Old Custard and Jelly, Just an Idea or DIY?? # Prepare jelly and set at an angle as shown, I used muffin tin to balance the glasses in. Hope You give this technique a try, ENJOY!!! ?Foodeva Marsay? This May not be much of Recipe to follow, but rather a simple BREAKFAST IDEA that I personally Love. “An Apple A Day…Keeps The Doctor Away” , definitely knew SECRET BENEFITS of APPLES WAY BACK THEN. Some very Interesting Facts above?? So here is how I love to incorporate Apples into my day. This breakfast idea Tastes Like Apple Pie/Apple Crumble ;)…. and who wouldn’t like some Dessert to start off their day, well I invite You to join me in Fooling our brains??. ✅ Add the Sugar and Cinnamon Powder to Apples and toss well. ✅ Top with the Yoghurt and mix through well. ✅ Serve in a Glass or Cereal Bowl, topped with a handful of Muesli or Bran Flakes of choice. ▶️ Or try out with a medely of fruits. If only all things were as Easy as Smoothie… but then again, how would we learn new things everyday hey. With this blog post, I would like to give a Shout Out to my fellow blogging-pal SDK , a huge Thank You , for showing me the ropes to improve the look of my Blog. With lots of trials and error attempts, I think I have finally captured the art of setting my recipes apart in the blog, and there is also an option for you to print it . Do let me know what you think of this new format, I Personally love the look of it. I love making the smoothie with berries, but have also made this with banana, in fact, absolutely any fruit combination works well this. Why not give strawberry and banana a try. 》Place all the Ingredients into a Blender. 》Blend together well until smooth.